Neverland is possibly the most beautiful book I have ever read. The writing is so enthralling and the characters were great. 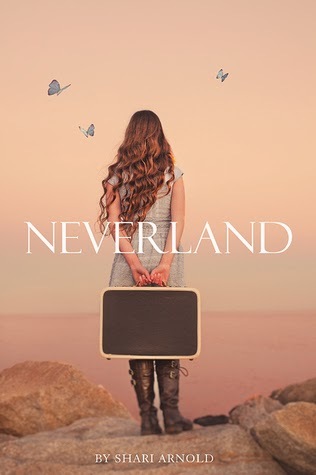 I loved Sheri's take on neverland, it was heart breakingly beautiful. So in case you can't tell I loved this book soooooo much it is unbelievable. It's just stunning and so imaginative. Sheri has obviously read Peter pan and then written a book loosely based on Peter Pan, neverland is completely different to J. M. Barry's version. The book was not at all like I expected it to be as I had expected Peter Pan just modernised. Not at all what it was. The whole book was surrounded by mystery as Meyer would never answer any of Livy's questions. You would get little hints of who Meyer actually was but never definite answers and usually with characters like this I am screaming at the other characters to get away and not to trust them but Sheri just wrote Meyer so you couldn't help but love him (and yes I am aware of how many times I said 'but' in that sentence).I loved Meyer, he was so naive and didn't understand Livy's reaction to a lot of things yet at the same time he was extremely mature and always understood how Livy was feeling. (hmm, just realised how contradictory that sentence is. It's still true though). I originally didn't particularly like Livy but she really grew on me to the point where every time she got upset I felt like someone had just ripped my heart out. There's a possibility that's a bit of an exaggeration. In all honesty I loved everyone like a lot, Meyer more then anyone else though. The ending was so amazing I loved it. It just showed an extra depth to a certain character and was so beautiful. It was so amazing and I would love to go into detail about the ending but I can't do it without spoiling the book. If anyone reads this book please message me and we can talk about the ending and talk about how Sheri needs to write a sequel. In conclusion I loved this book more then words can explain. I think everyone should read it because there wasn't one thing I disliked about it. It was just so beautifully written with such a beautiful plot and a beautiful ending. It was so beautiful, in case you can't tell. But unlike a lot of beautiful books there was an exciting plot with twists and turns you didn't expect. I loved it. 5/5 stars from me. This book is definitely in my top 5 books ever, which means there are now 2 Peter Pan retelling's in my top 5 which is ironic given I hate the original book. I just hate J. M. Barry's writing style. Really hope you read this book.